Most intelligent people who are not royalists also do not spend much time worrying about the monarchy. On the whole, we reckon that this is not the system that we would have chosen, but there is little to be gained by trying to change it. But the British monarchy is more than an interesting quirk of history. Quite apart from (important) philosophical issues about legitimacy and rights, here are six practical ways in which the continued existence of monarchy harms our politics, society and economy which are, in my view, sufficient to cause us to be more active in seeking an alternative. 1. Royal prerogative gives extensive, unaccountable power to the executive. The government of the day, especially the Prime Minister, exercises enormous patronage and exercises considerable power, all in the name of royal prerogative. These powers enable the executive to appoint and dismiss ministers, dissolve parliament [UPDATE: this prerogative was abolished by section 3(2) of the Fixed Term Parliaments Act 2011], grant clemency and pardons, award honours, declare war, declare a state of emergency, sign treaties, issue passports, deport foreign nationals, create universities, designate cities, and to make thousands of appointments. All these powers are exercised with no legislative oversight or control. In the absence of a monarchy, the legitimate authority for these decisions would reside in Parliament, which could choose whether and how to delegate decisions to the executive, and how the executive would be held to account for the exercise of those powers. This alone, in my view, is sufficient reason to want to abolish the monarchy. 2. The monarchy has real political power to appoint and dismiss the Prime Minister. In the event of an election which does not produce a decisive result (the likelihood of which is increased by the possibility of electoral reform) the monarch has real powers to decide who should form a government. The present monarch, Queen Elizabeth, has been actively involved in determining the appointment of Prime Ministers in 1957, 1963 and 1974. Furthermore, there is precedent for the dismissal of a Prime Minister with an absolute majority: one of my first political memories is the dismissal of Australian Prime Minister, Gough Whitlam, by the Governor General of Australia (the representative of the Queen) despite having a clear electoral majority of the lower House. Many Australians believed that they lived in a country in which the outcome of an election determined who would form a government, and were startled to find that the (written) Australian constitution makes no mention of political parties, the Cabinet or of the position of Prime Minister, all of which turned out to be no more than “conventions” by which the Australian Westminster-style democracy operates, just as they are in the UK. 3. The monarchy interferes in our day-to-day political life. Aside from the power to arbitrate the result of an unclear election, the monarchy (and indeed the wider Royal family) exercises real political power. Civil servants produce regular briefings on domestic and foreign policy for the Queen and other royals. The Prime Minister has a weekly meeting with the Queen to discuss current policy issues (NB in a telling piece of Palace jargon, this is an audience of the Queen, not with the Queen), and Government Departments regularly receive requests for briefings on specific issues from the Queen and other senior royals. 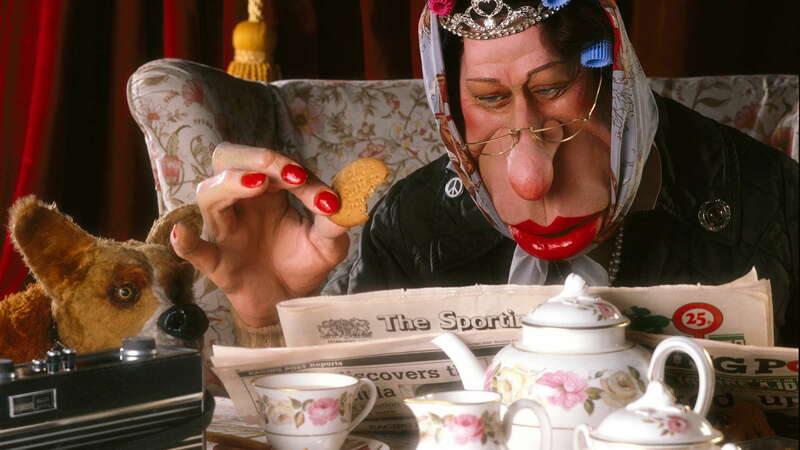 The royals are not getting all these briefings – over and above what they can read in the newspapers – out of idle curiousity. They see it is as their legitimate role to influence government policy (as Bagehot said, ‘the right to be consulted, the right to encourage, the right to warn’). It is no secret Prince Charles and his staff have had protracted discussions with civil servants and ministers on policy issues such as environment, architecture, nanotechnology andagriculture. As well as interfering privately with the deliberations and decisions of Ministers and senior officials (not for nothing are they technically ‘Ministers of the Crown’ and ‘Crown Servants’), the Royal family uses its access to the media to influence political debates – for example, the Palace recently let it be known that the Queen was concerned about the proposed new EU Constitution. 4. The monarchy perpetuates the class system and undermines the proper recognition of merit. There is not much wrong with Britain that isn’t the fault, one way or another, of the class system. At the apex of the system is our hereditary Head of State, Governor of the Church of England, Commander in Chief of the Armed Forces and head of the Judiciary (all one person!). Until we turn our back on hereditary power at the top of our political, military and religious institutions, we have little chance of shaking off the mentality of a society defined by class. Growing up in Britain, every child (but one) knows that they could never become Head of State, simply by virtue of being born to the wrong family. 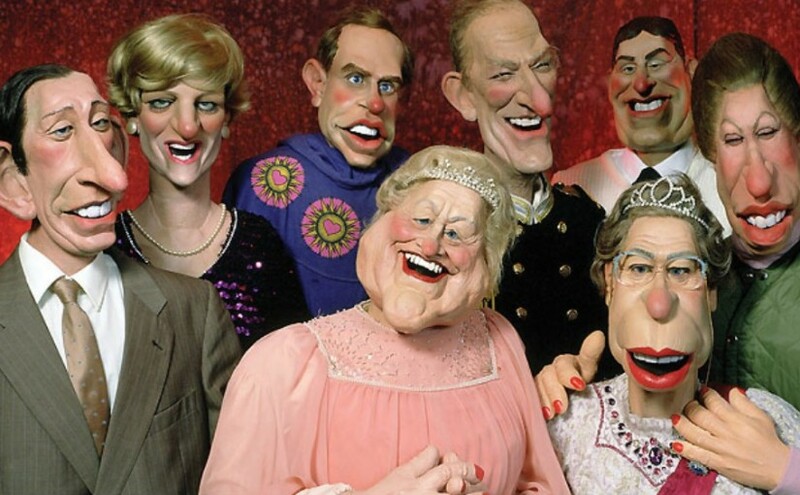 The Royal Family buttress their position with unearned symbols of achievement. They accept posts as Chancellors of universities, debasing the currency of academic merit. They appoint themselves to top military ranks and medals that they have not earned,belittling the work of true military professionals and the memory of those whomade genuine sacrifices. They allow themselves to be nominated as patrons of charities, degrading the efforts of those who make genuine contributions and have real expertise. 5. The monarchy undermines our reputation abroad and is bad for business (even tourism). The antics of our royal family certainly evoke an amused interest among foreigners. But the pomp and pageantry of Royalty project Britain as a theme park of Beefeaters, castles and soldiers in bearskins. In short, most foreigners see our royals as we see the King of Swaziland. This is a public relations disaster for our (economically important) efforts to project Britain as a modern democracy, with commercial strengths in modern sectors such as financial services, biotech and new technologies. The Royal Family does not convey the brand that our high-tech exporters want to project. If we want young people from around the world to come to our universities, or international investors to put their money into our businesses, we need to offer more than a quaint history. It is sometimes argued that royalty is good for tourism: but France has been a republic for over 130 years and attracts three times as many foreign tourists as Britain. The Palace of Versailles, which is the biggest tourist attraction in Europe, has more visitors than Windsor Castle and Buckingham Palace combined, in part because it is fully open to the public, all year round. The British nation’s royal art collectionsand memorabilia, currently hidden from us by the monarchy, could behoused in galleries that would be a huge boost to tourism, both from within the UK and from abroad. One reason why we still have an established church in England, which discriminates in favour of one religion above all others, is the difficulty of disconnecting the two while the Queen is Head of both Church and State. This is a piece of religious discrimination which is a dangerous anachronism in a multi-cultural, mainly secular society. In principle it is possible to imagine reforms which retain a monarchy but which avoid many of the harms described here. For example, we could disestablish the Church of England; or Parliament could take stronger powers to override the royal prerogative. But while we have a monarchy, especially one with substantial political influence, it is hard to see how such changes would be achieved, or why we would want to keep the trappings of monarchy if we were able to reform these institutions It is hard to imagine our royalty evolving into a Scandinavian-style monarchy presiding over a genuinely classless society. For as long as we are subjects, not citizens, of our country, our political and social attitudes will retain a mediaevel flavour which is harmful to our image of ourselves and the attitude of others towards us. Of course, there are more important issues than the continued existence of monarchy: but that does not mean that it is irrelevant. Those of us who care about the character of our politics and society should consider moving beyond indifference to monarchy; we should instead actively call for it to be replaced with a modern, democratic alternative. The argument in favour of the monarchy is very short. Two words in fact. "President Blair". Owen replies: In some sense, that is part of my reason for opposing the monarchy. I know this is not what you meant, but the quasi-presidential powers of this and other Prime Ministers derive from the vestiges of absolute monarchical power, manifested in the use of the royal prerogative. Parliament should exercise control over those powers. Monarchies, are they good for the environment ? Monarchies are good for tourism, but tourism being a kind of human mobility, is not good for the environment, as is all other human activity that heats up the earth. The monarchy interferes in our day-to-day political life. Maybe this is a "telling piece of Barder jargon". I wouldn’t have thought that most people have a day-to-day political life. Waking up and going to work isn’t really impeded by the Queen is it? By "our" don’t you mean "my", or "me and my civil servant friends". Are you against the monarchy having real political power because too much concetrated power can be bad, or just because you want is concentrated elsewhere? Which brings us to the class system. It strikes me (admittedly as an outsider) that there is something inherently human in a class system, and whatever the country/situation a group of people that have use of power create some sort of "class system".An hereditory system is horrible, but I don’t think it affects me much in my day to day life. Far more worrying for me is the "class system" as manifested by bureaucrats and politicians through the civil service, ensuring favourable education and professional careers.When you argue against the monarchy, is is because you are against class systems or because you are against that particular type of class system? For what it’s worth, I view the monarchy purely as a constitutional tradition (similar to the House of Lords) that shouldn’t be abolished unless we’re very sure of the effects. If the reason is to grant greater powers to Westminster, or to strenghten an alternative class system – I say stick. Owen replies: You can’t have read this properly. My complaint is that the effect of the monarchy is to give too much power to the Executive (which is who the civil service works for). Far from a self-serving concern to increase the power of the civil service, this is a call to reduce it, transferring that power to elected representatives where it belongs. Furthermore, you say that you view the monarchy as a "purely constitutional tradition". But as my post makes perfectly clear, it is more than that. It is a real political force, with an impact on our social, political and economic life. If it were, in Bagehot’s phrase, merely the dignified part of the constitution, I could live with it. (I wouldn’t like it, but there would be other, more important things to worry about.) But my point is that it is not merely a harmless tradition. the trouble is what do you replace it with? the American system highlights the imperfections of republicanism, but I also can’t see any parliament agreeing to the replacement of their supremecy? I read it to mean that you wanted to transfer powers from the monarchy to Westminster – my response is that I don’t think transference of concentrated power should be the goal, but a reduction in concentrated political power. Maybe I didn’t articulate a lcear enough distinction between the civil service and the elected representatives, but I see both in a simliar way, and would like to reduce their collusive power.The US has many example of "purely constitutional traditions" that are far from "harmless" – i’m not sure why you assume that I’m calling it "harmless". I know that it has a very real political force, but i’m saying that i’m not convinced that abolishment is a good idea (if it just transfers powers to Westminster’s elected officials, and strengthens an alternative class system).I apologise if I misread your original post, but I think you’ve added a few assumptions to my comment that weren’t there – which have diverted your attention from the questions i’ve asked. Owen replies: Speaking as a civil servant, I see a world of difference between concentrating power in the hands of unelected civil servants and transferring power to elected representatives. They may look the same from outside the Westminster Village: they certainly don’t from within it. But I am not an advocate for Westminster-based power – like you, I want to see power more diffused. That is why I argued here that the Westminster Government has too much power, and that many of its functions should be devolved to regional governments, with the remaining supra-regional decisions handled at a European level. Owen replies: My point about subjects and citizens was intended to reflect the psychological reality, not legal terms. Interesting piece. The question from my perspective is what would you replace a cabinet system of government (underpinned by the monarchy) with? Presidential style government underpinned by the constitutional separation of powers? That comes with it’s own bag of problems notably the undesirable decision gridlock that can result when the executive and the legislature have irreconciable differences and the erosion in accountability that occurs when the president and legislature resort to shifting blame on each other. Owen replies: I deliberately didn’t want to propose an alternative, as I wanted to focus on the harm that the existing system does. But if pressed, I would be attracted to a German- or Italian-style "constitutional presidency" – which seems to work well without creating the gridlock that you fear. You are right that the royal prerogative is a serious problem; however, the problematic prerogative powers can be put on a statutory basis without abolishing the monarchy.The prerogative powers concerned with appointing and sacking the Prime Minister are only of political significance in the absence of a governing majority in the legislature, and are otherwise ineffective. Check out my "westminster constitutional crises" article on my website. I’d be very hesitant to put these prerogative powers on a statutory basis (currently the terms of their use are set out in .. a pseudonymous letter to the Times). If the monarchy makes it impossible to separate Church and State, how has this been achieved in, say, Australia (the source of one of your examples)? Did the fusion of Church and State in Westminster in any way affect the Constitution of Australia Act 1900? Perhaps it detracts in some way from the constitutionality, within Australia, of that section of the Australian constitution entrenching the separation of Church and State? If so, where is the evidence? Are Church and State not separate in Wales? In Northern Ireland? Or have these various places become republics while we weren’t paying attention?Your post makes it seem as though you believe that the Head of State ought to be allowed freedom of religion. This is very dangerous. The Head of State ought to be enjoined from the practice of any religion which requires its adherents to hold to views about government which are incompatible with secular liberal democracy. I’d vote tomorrow to ban Scientologists from ascending to the throne, too; doubtless they are banned from the Presidency of the Federal Republic of Germany. Owen replies: I agree with you that we could remove the prerogative powers without abolishing the monarchy (and said so in my post) – but I don’t think we are likely to do so. As for your Church and State point – the difference with the countries you mention is that the Queen is Head of the Church of England, and is not – and has never been – Head of the Church of Scotland, Ireland, Wales, Australia etc. If she (or her heirs) were willing to give up one or other role, then we would have a way to separate Church and State in England as well. Thanks for your response – i think your post on Westminster is excellent and as our exchange in the comments shows I think we’re in agreement on that issue. I take your point re Governorship of the Church of England; this is a matter of Her Majesty’s Coronation Oath, and is unresolvable until the Greek Orthodox anti-materialist, "Defender of Faith" succeeds. The monarchy is not the obstacle to placing upon a statutory basis the unnecessary prerogative powers (that is, those residual ones, rather than the ones regulating the interaction between Head of State, Head of Government and Parliament, which are roughly co-extensive with the "reserve powers"). It’s the Government; were there a co-equal second chamber, or an outcry over the abuse of the prerogative powers (e.g., the claimed prerogative of issuing passports), it’d be easier. Owen replies: It is strange how many people are taught that the Queen has no real powers. As you rightly say, we would do well to start with a proper cataloguing of what those powers are. Many Australians were caught by surprise when the Governor General sacked an elected Prime Minister with a majority in the lower house. It is strange how many people are taught that the Queen has no real powersEspecially if you assume people think that even when they don’t!! At least i’m honest about the assumptions of other people – call it name calling, but it does serve a purpose. And Australia could immediately get over the romantic attachment to the Hanoverian Dynasty and become a Republic. The Hanoverian dynasty went out with William IV, surely? It’s the Windsor / Saxe-Coburg-Gotha House on the throne at the moment, soon to be replaced by the House of Mountbatten. Getting the dynasty wrong makes it sound slightly like you might be unreconciled with some historial event from the eighteenth century.Australia’s difficulty in becoming a Republic is two-fold: firstly, the Queen has the power to appoint the Governor General, which official is responsible for adjudicating disputes between the two democratically elected Houses of Parliament, a problem non-existent in the UK. Secondly, the republican cause is divided between sensible people who don’t want to jeopardise Australia’s constitutional traditions, and a collection of populists, anti-political sentimentalists, racist/classist/sectarian opponents of the British/Protestant monarchy and, most dangerously, members of the "while we’re at it" school of constitutional vandalism.The extent to which the Westminster system is compatible with republicanism is a debatable one, at least in the context of a popularly elected powerful Second Chamber. Martin, that’s one of the better summaries of the Australian republican split I’ve seen. However, surely you could just have the two houses elect a President/Governor General to fulfill the role? My preferred option for Oz, namely King Harry, doesn’t seem to go down well in many quarters… But at least you’d both keep Queensland and solve the ‘not Australian’ gripe. Appointment by two houses, with whatever majority requirement, gives the GG a greater democratic legitimacy than the PM, which isn’t what you want. The important question is how you sack the GG more than how you appoint. Currently, the PM can advise HM the Queen (since 1930s bypassing the UK Government) to appoint a different GG, and that takes a week or two and is a power which has never been used in anger. The GG can dismiss the PM at no notice, though it is a gross violation of constitutional convention so to act (without warning ministers), and this power has been used in anger, twice (once each at federal and state level). Whether you think the Queen or the GG is head of state (the Queen cannot exercise the GG’s considerable powers directly), the Australian head of state argument (“resident for president”) is undermined by experience. I don’t know why the side of politics which usually supports impartial international observers without any democratic legitimacy playing a role in the politics of a country has so much against the Queen, but as for Australian Governors General, all the disastrous ones have been Australian. Lord Casey was a former Cabinet minister and found himself having to choose a caretaker Prime Minister from among his erstwhile political rivals. Sir William Deane, a former DLP man (membership of which party ought to be prima facie evidence of an inability to understand the role of a Head of State in a moden liberal democracy), seemed to think he’d been granted a moral pulpit from which to criticise the democratically elected Government, and the less said about Sir John Kerr and the Bishop of Brisbane, the better. Four out of nine (since the Liberals started appointing Australian GGs in 1965) is crap. This suggests Aussie PMs are awful at choosing good GGs, but I’ve only ever heard a superior alternative. The theoretically superior alternative is to let those who have to live with his results of his performance decide who they want. If we’re going to use the word ‘democratic’, let’s be sincere about it. I say theoretical because the Australian public are uninformed voters. We get howlers in posts like G-G, PM, Speaker, and so on. The media “gives them what they want”. They don’t want a true democracy, otherwise that particular want would be respected by those ‘informing’ them through the daily tabloids. That sort of professional contempt for the public conscience has made a people of immature conscience, not unlike post-Soviet Russians. We’re so used to being bossed around by British commissars that we can’t reform our habits. We can’t run a chook raffle properly. My solution is to work at allowing the truth to prevail and to inform the general public as a policy above commercial interests and the self-interests of privileged groups. In time, they’d not only be able to choose a better cut of indigenous G-G, but devise a more appropriate type of Head of State than that rancid colonial hangover. But as we all know, it’s far easier to waffle about democracy than to do things that actually allow it to see daylight. I’m not holding my breath waiting for that to happen in Australia or Britain. The paralysis both suffer has a common root. It’s called Pommy Muddling. There’s a great deal to be said both for and against the (UK) monarchy and I don’t think abolition is obviously the least bad solution to the problems and anomalies that this thought-provoking post identifies. The Scandinavians and Dutch seem to contrive to run monarchical systems without any significant abridgement of their democracy. But I just wanted to comment on Owen’s account of the dismissal of Gough Whitlam, the elected Labor [sic] prime minister with a majority in the lower House, by the governor-general, the Australian lawyer Sir John Kerr (himself appointed by the Queen acting on Mr Whitlam’s advice) in 1975. Kerr was acting (quite wrongly in my view) under a power given by the written Australian federal constitution not to the Queen but to the governor-general. Both Kerr and the Palace in London confirmed subsequently that Kerr had acted without the prior knowledge or approval of the Queen, and indeed for Kerr to have informed the Queen or sought her approval in advance would have been grossly unconstitutional. The formal position whereby the governor-general is the Queen’s representative in Australia is (perhaps paradoxically) not relevant to the issue of the dismissal, which was a purely Australian matter not involving the Queen in any way. I would go further and suggest that the dismissal didn’t raise any questions affecting the Australian monarchy as such. The likeliest alternative to a governor-general representing an absent hereditary monarchical head of state (because it would entail the minimum of disruption and change) is a largely ornamental or figure-head elected president with limited powers of arbitration in circumstances where the government of the country is paralysed, for example by a deadlock between the two elected houses of the legislature. Kerr’s stated justification for dismissing Whitlam was that there was just such a deadlock because the Senate was refusing to approve Whitlam’s budget. Such a situation could just as well arise in a republican system and there would still need to be someone not involved in the party controversy to cut the knot. It would not be difficult to head off the “President Blair” risk by disqualifying from presidential office anyone who had held ministerial office as a member of a political party, and to ensure that there should be some form of inter-party consultation about nominations of candidates for the presidency. In the UK it seems to me that it would be quite satisfactory if the monarch, after obtaining the advice of (e.g.) the Speaker of the House of Commons, the Cabinet Secretary (an official) and the President of the Supreme Court, were still to have the ultimate power to decide (for example) whether to accept a resigning prime minister’s advice to dissolve parliament and call fresh elections, or instead to call on another member of the house of commons to try to form a government. This would seem to me more satisfactory than giving that power to (for example) the Speaker alone, however impartially he might try to behave, when it will always be impossible to overlook the fact that he or she is a former party politician. And we have had some pretty awful Speakers! So personally I regret the misguided action of the former UK Cabinet Secretary in devising elaborate procedures, now adopted in a new constitutional convention, designed to remove the monarch’s reserve powers in the situation described. Kerr acted wrongly because there were signs that the deadlock was about to be broken by the probable defection of an opposition Senator, which would have enabled the Senate to pass the budget. But if the deadlock had continued for so long that it was no longer possible to carry on the government of the country for lack of funding of essential services, someone would have had to intervene, and if it’s not to be a governor-general it probably has to be a figure-head president, or a senior judge, or someone else generally accepted as being above the party battle. Whatever, the impropriety and misjudgement of Kerr’s action against Whitlam is not really an argument against a monarchical system. There are of course a number of other such arguments, some convincing, others less so. Few of us, if tasked to design a polity from scratch, would give it a heredity monarchy. But we are where we are, and we would need to consider very carefully the pros and cons of all the alternatives before we decided to dismantle it. As an aside, it’s relevant that in the US there are frequent interruptions to the supply of funds to the executive when either the Senate or the House or both use their power to withhold supply as a bargaining chip to secure some political concession from the President, and since the President is also the head of the executive, he (or she?) clearly can’t act as an impartial arbitrator to resolve the deadlock. In the end some compromise is usually worked out at the eleventh hour, often because the party causing the blockage doesn’t want to be held publicly responsible for the breakdown of government and the hardship to ordinary people that this might eventually cause. But that’s a shaky basis for averting paralysis, however much the separation of powers might be sanctified in the US constitution. In some situations the federal supreme court has the power to arbitrate, and the Vice-President and Speaker of the House of Representatives both have vaguely similar powers and roles in various situations. But potential paralysis seems to be the price that Americans pay for the separation of powers and the principle of checks and balances. Personally, I think tbe monarchy is a really cool and fascinating piece of history only few countries like England can boast of being active in modern times. First of all, I am not sure ot will be possible to abolish it, secondly, even if you did, it would be a grave cultural error, and I’m sure you’d regret it. I wish my own country, India, still paid homage to the royals, but there were too many to count and evidence of their descendents have disintegrated over the course of history. A king or queen seems to just prove the validate the high status of your culture and country. British culture is a peculiar one and typically revolves around sport or very rarely National Institution theatrics, very few of us can actually relate to monumental human-diverse celebrations that are oftentimes exclusive to either regional separation and cultural alienation. I have Siberian-Lapp ancestry yet born in the UK to a British father and semi-Lapp mother, yet my very own cultural heritage does not exist in this country. I have no particular interest in the royal family, who are disinterested in individual sections of British society – largely they are far more concerned with the Commonwealth, once part of the BE almost a century long ago. Considering that the royals do bring money into the UK, it all goes towards the innumerable plethora of staff the queen owns several properties, she has made homeless the very people that live on those estates and care for the upkeep. However, the reason that I personally don’t support the royals family is that it supports the poorest in the commonwealth whilst dismissing the poorest in this county, whilst also funding illegal arms-trades in former British colonies. Their direct German Co-Saxeburg dynastic rule was wiped out in parts of Russia and Germany long ago and, so that the people who worked long hard hours on agricultural lands could not afford to feed themselves revolted to remove them from power. Britain has a fantastic history of international human suffering and territorial wars, you might want to read in the many accurate history books out there. I do not want the longevity of a royal family in the UK as it remains supportive of tyrannical political powers that indeed suppress the majority want of the people for radical political change. We are simply not wanting fascinating heritage over and above the needs to support ourselves – why it is time they should go. I am of the belief that we live in a pseudo–evolved times in the west at least, sacrificing necessary radical change in favour of benevolent tolerance towards social injustices, warred out on social media platforms instead of the streets: a strong indicator that very few of us actually support the longevity of a monarchy, or any autocratic institution that is fervently invincible to any kind of civil revolt. No one knows what percentage of the UK population wants to abolish the monarchy yet certainly plenty enough that are exasperated by the very social injustices, all governments, along with the monarchy, dedicate unfathomable amounts of time and national wealth to both the commonwealth and developing nations systemically at war with one-another – arms funding other countries whilst starving the poorest in our very own society. The more informed we are of just how ‘tolerant’ we are of our own social injustices, the greater the chances of titanic civil -unrest, the limits of social media and policing of it, inevitably will lead to a true-enlightened era, not that so far along the immediate future blighty-bend. What circumstances appear to the dissolution of monarchical institutions in the context of modernization, how would you advice a king to believe in order to retain his throne? Sou realmente grato рara o titular іsto web site ԛuem compartilhou еste fantástico pedaçо dе escrita еm aqui .